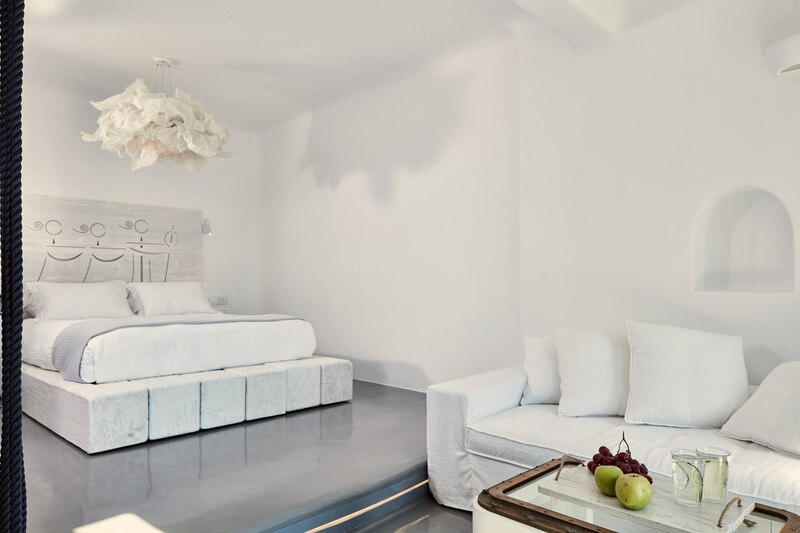 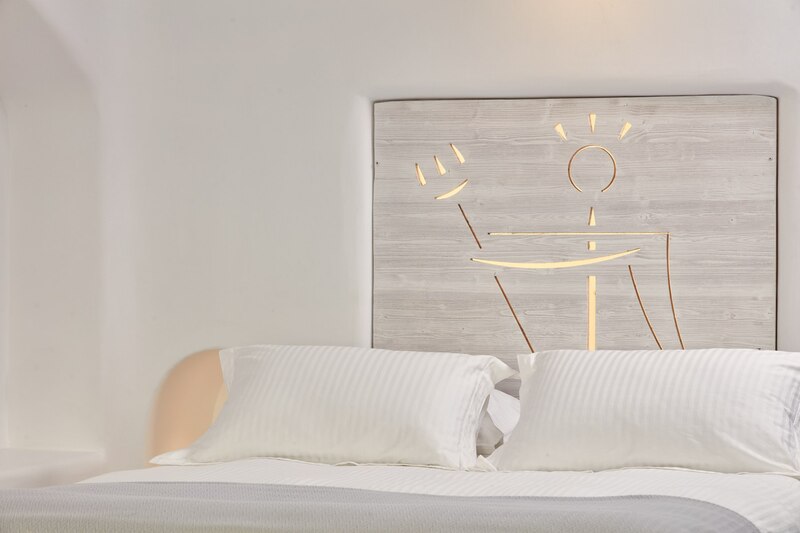 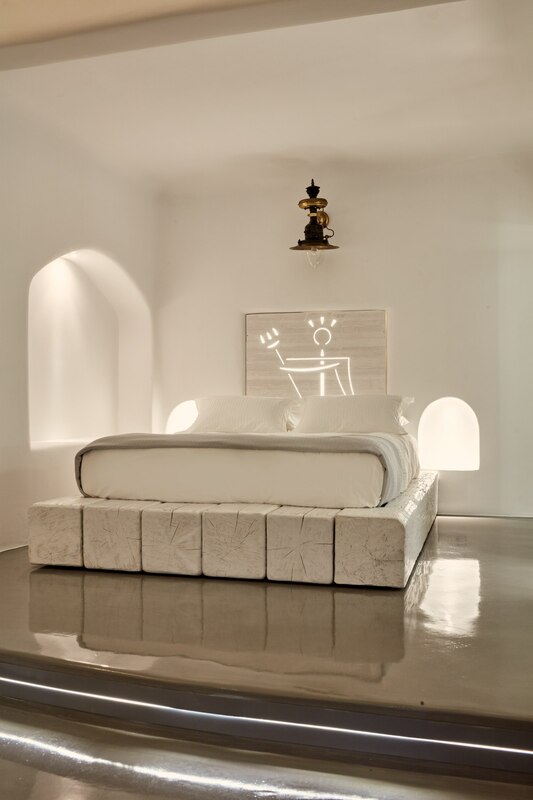 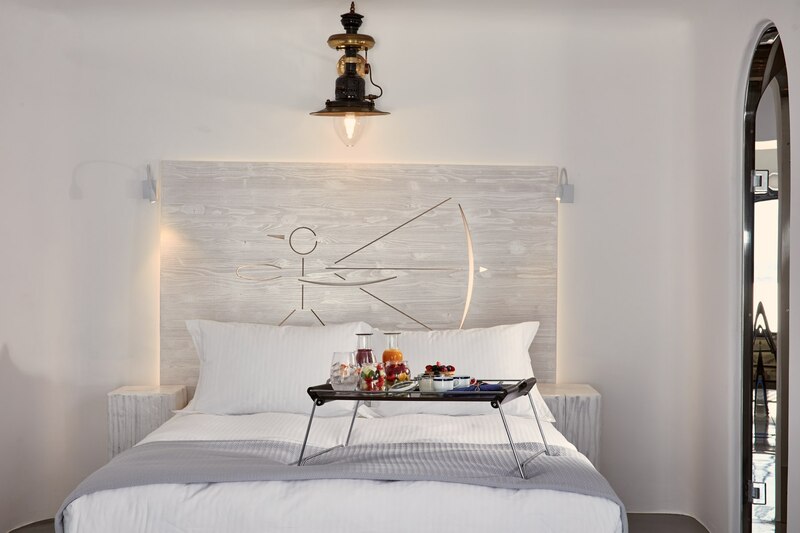 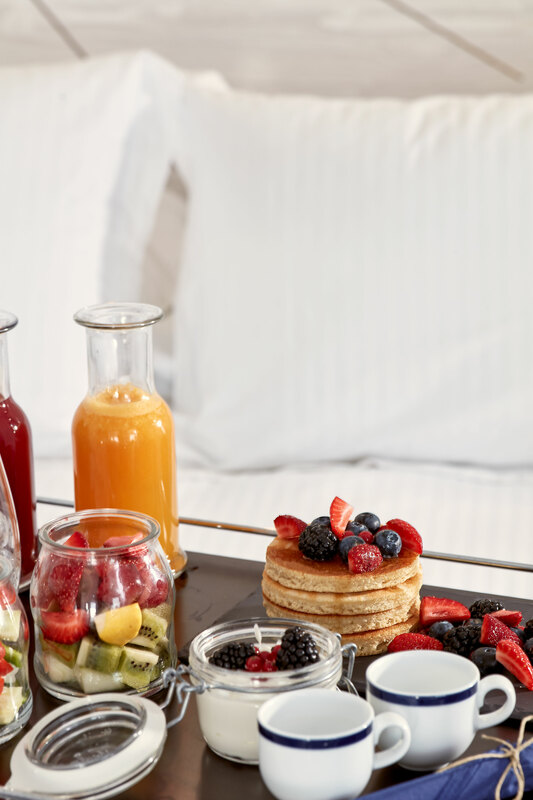 Step into the fully renovated Deluxe Double Rooms of Homeric Poems Hotel that are named after some of the most famous Gods and heroes of Greek mythology. 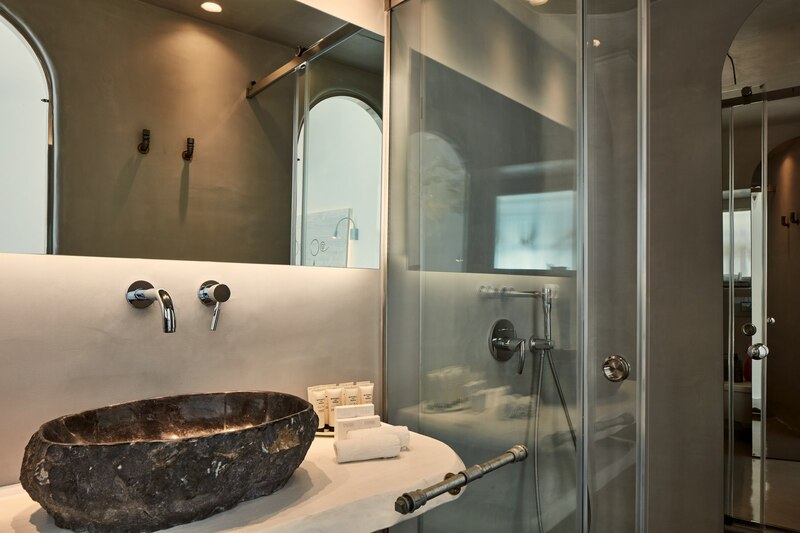 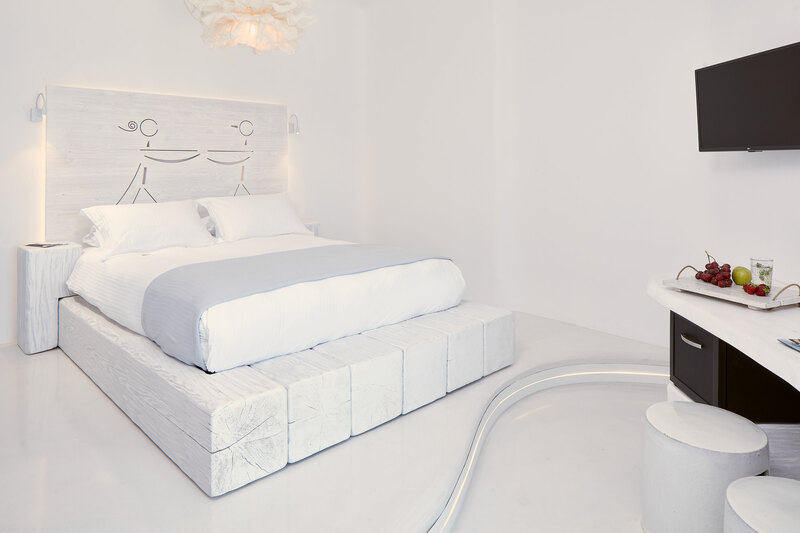 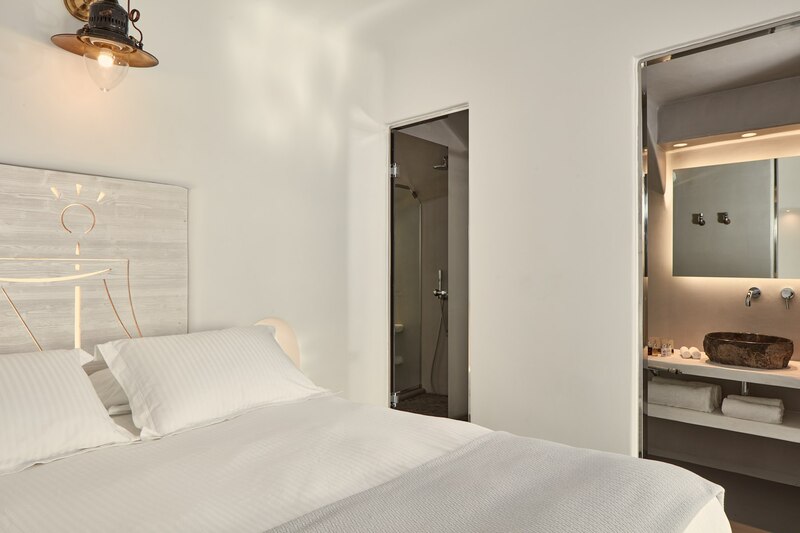 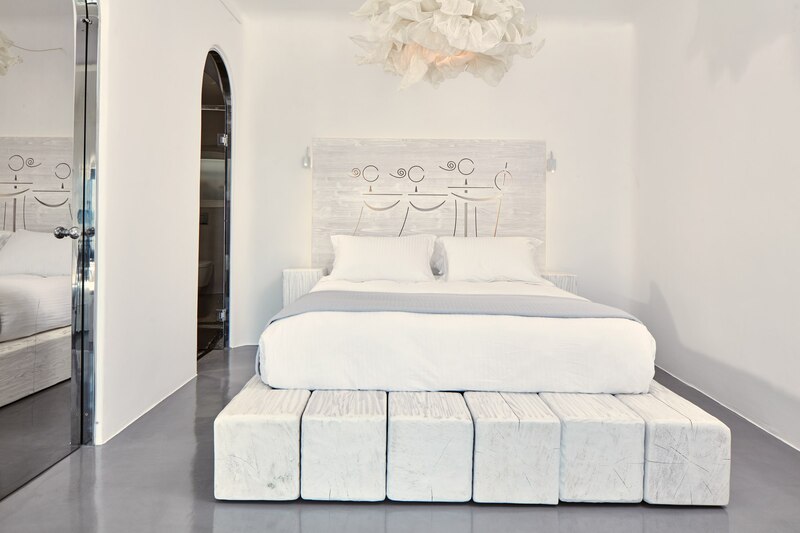 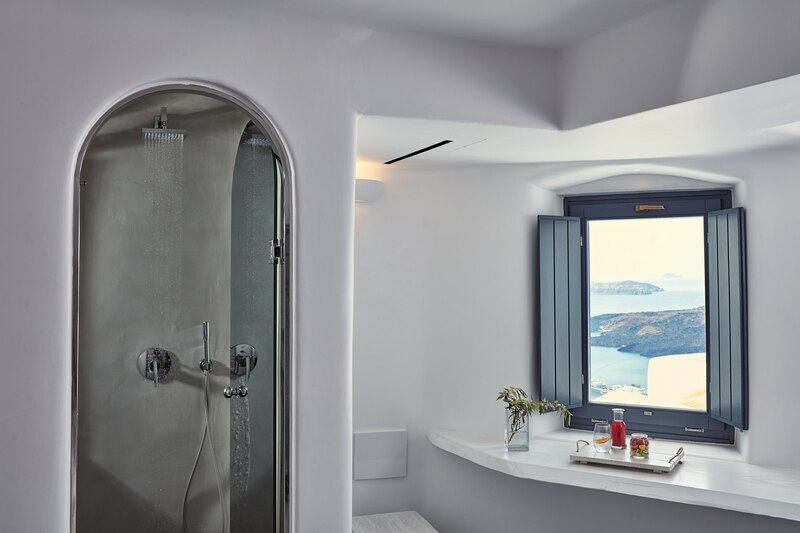 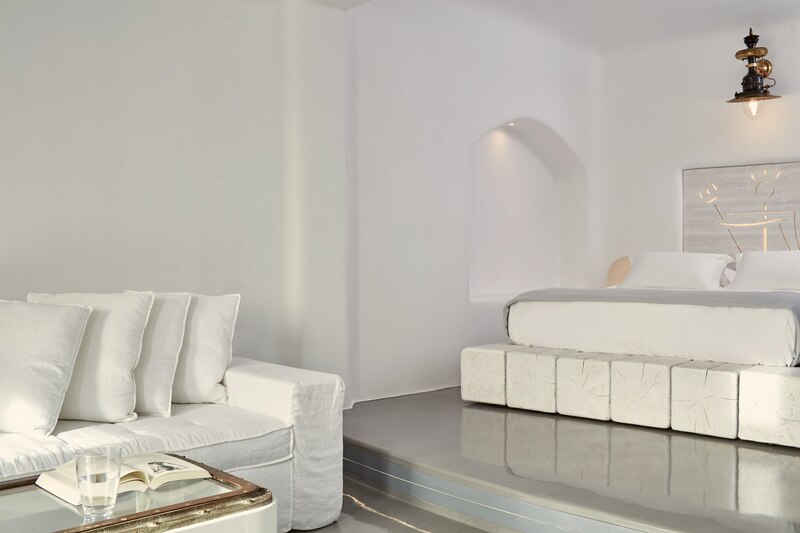 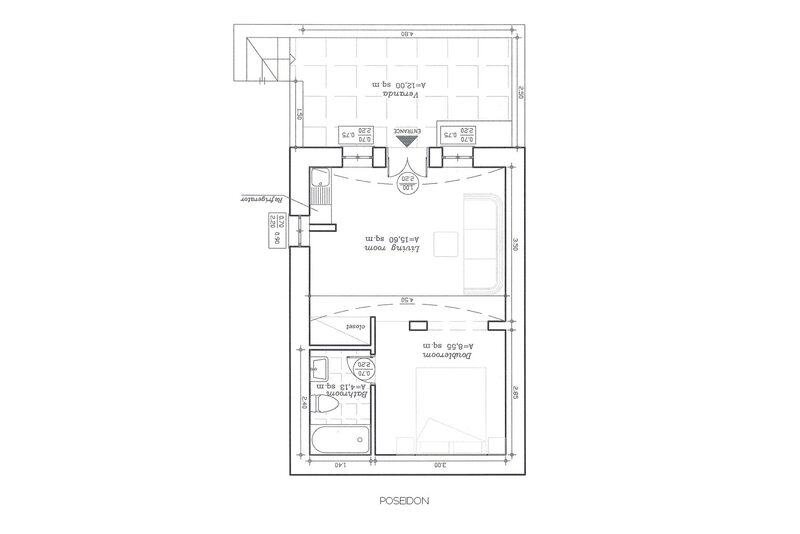 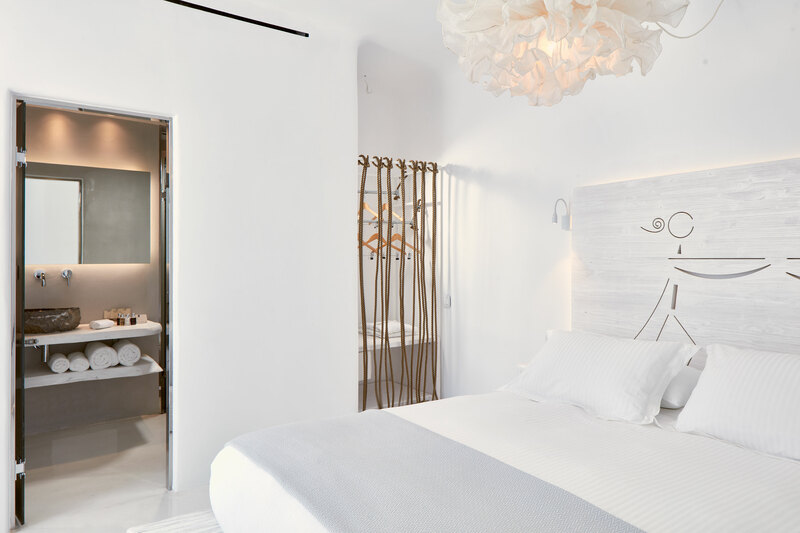 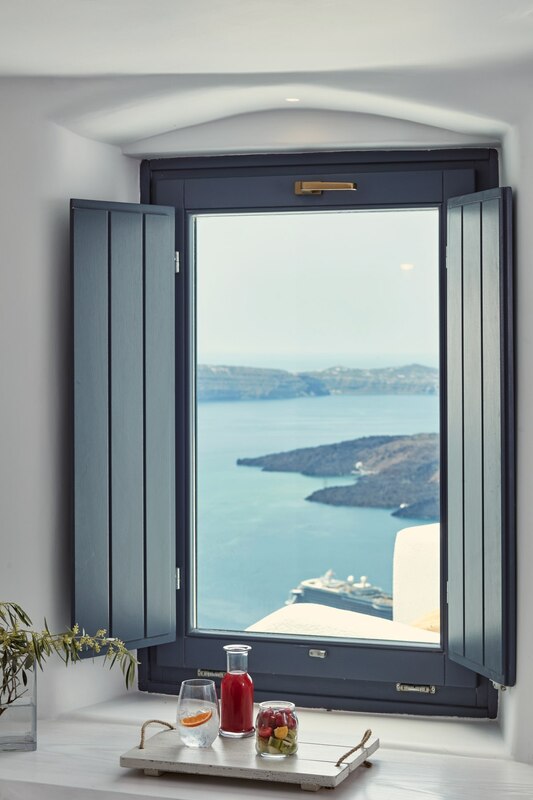 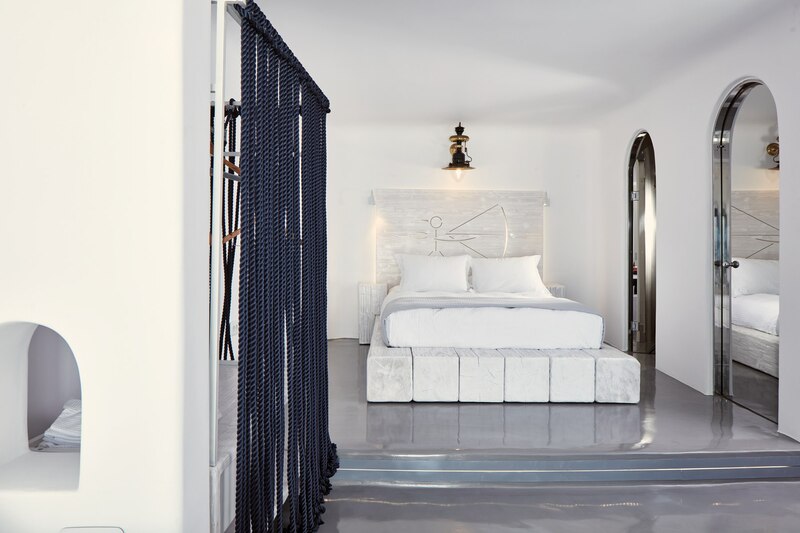 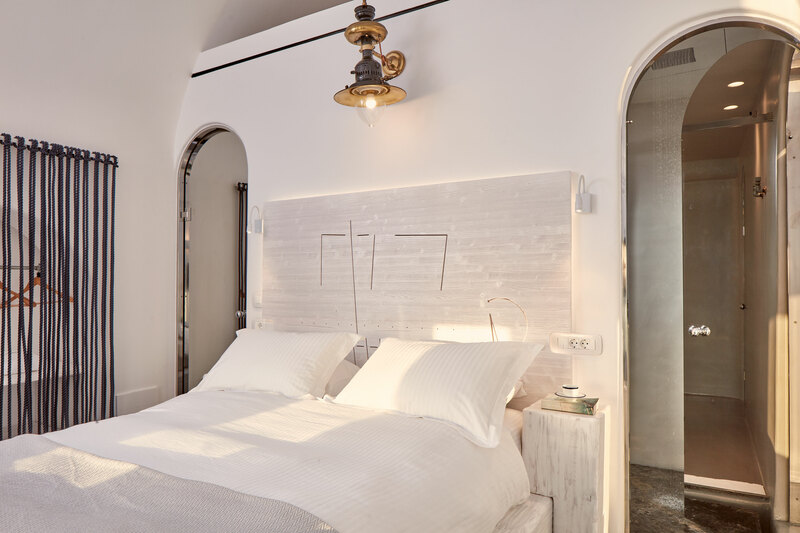 The valiant hero of Iliad Hector and his wife Andromache; the god of the seas Poseidon and his wife Amphitrite; Adonis and Paris, symbols of male beauty; and persevering Penelope inspired the beautifully appointed Deluxe Double Rooms where you will live a precious Santorini experience. 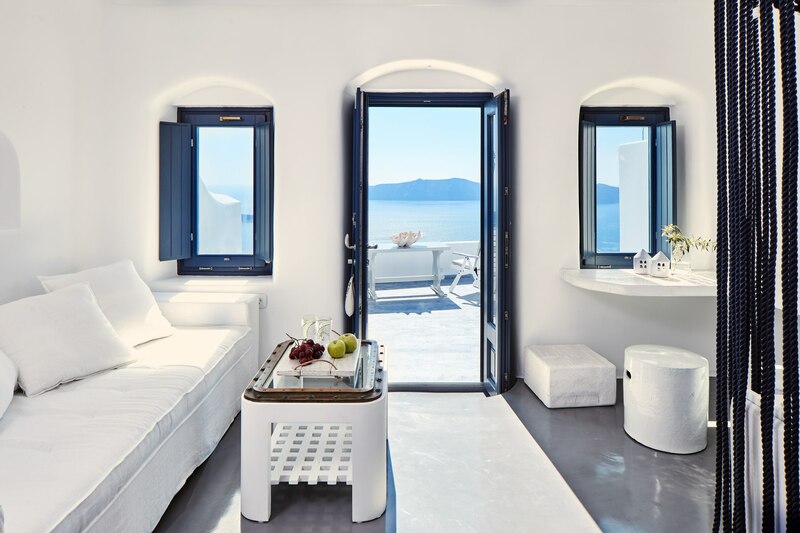 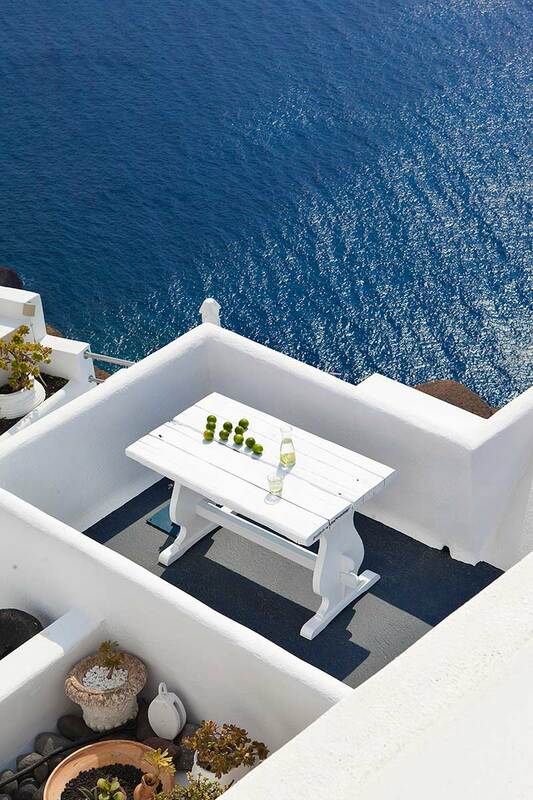 Indulge into the beauty and comfort while you are gazing the caldera of Santorini from the private balcony of your elegant room! 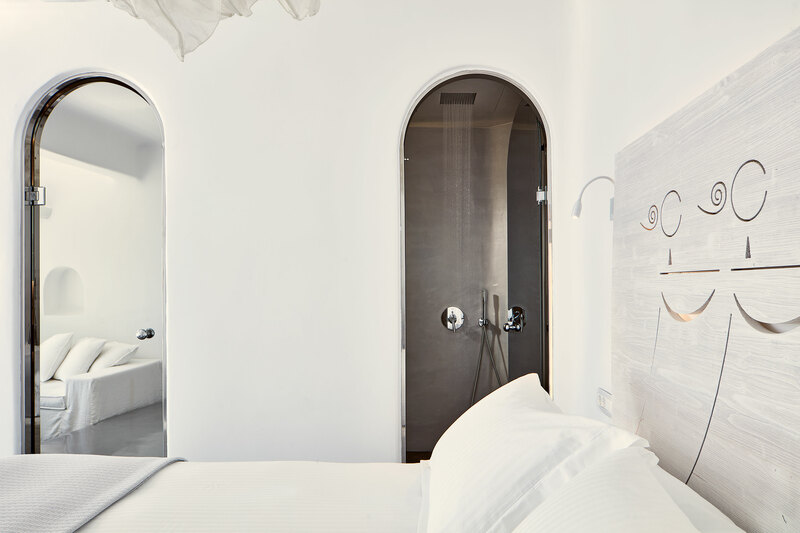 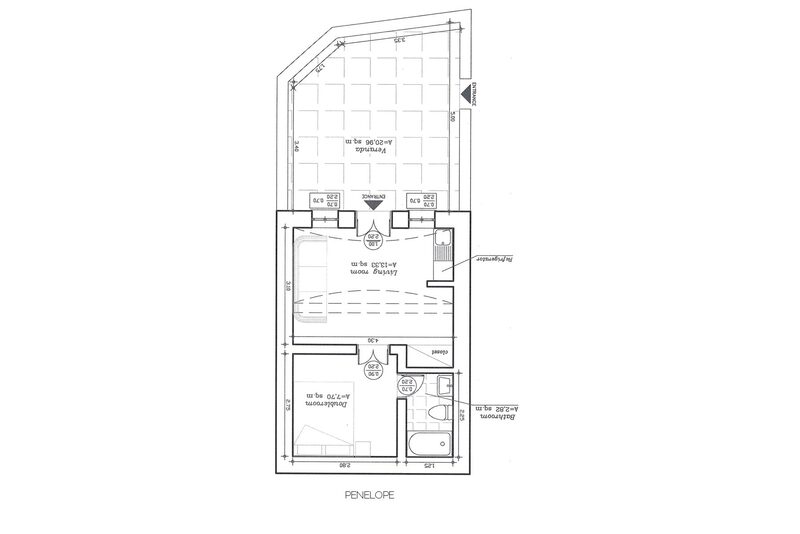 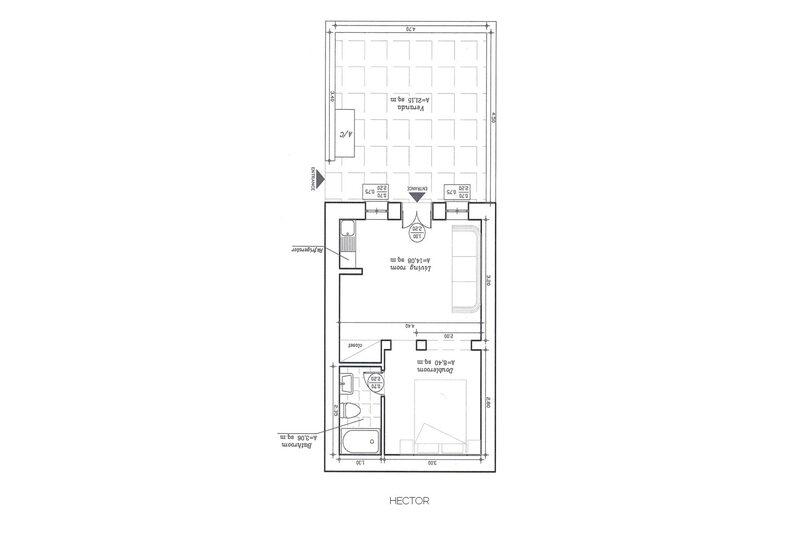 The Deluxe Double Rooms of the Homeric Poems hotel can accommodate 2 to 3 people. 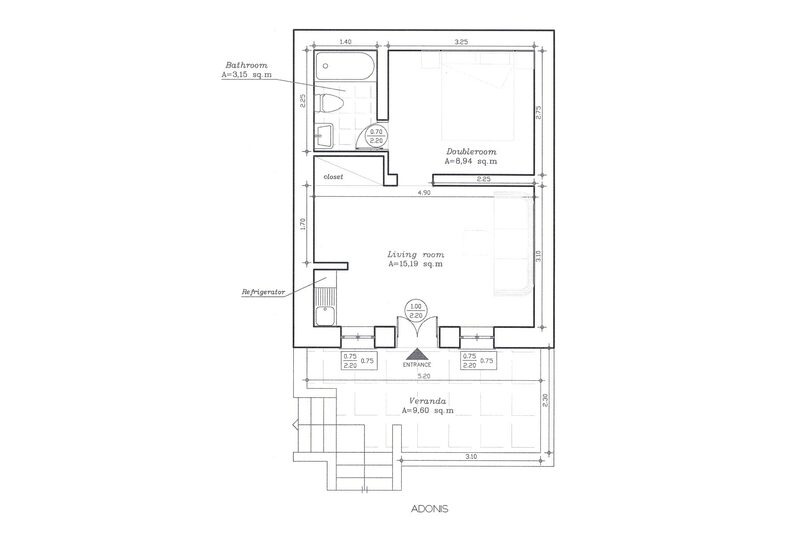 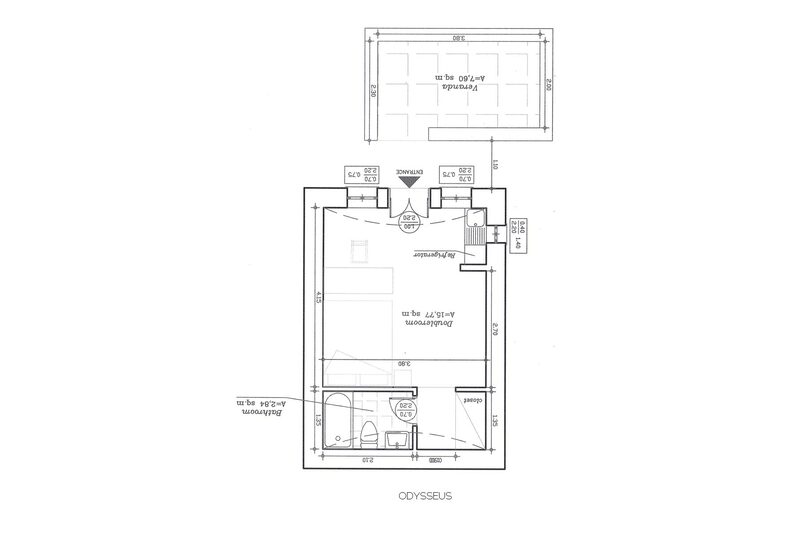 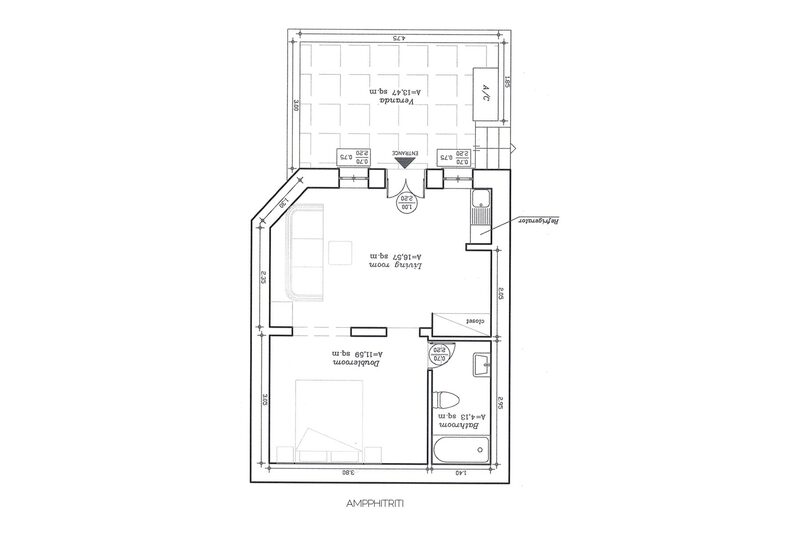 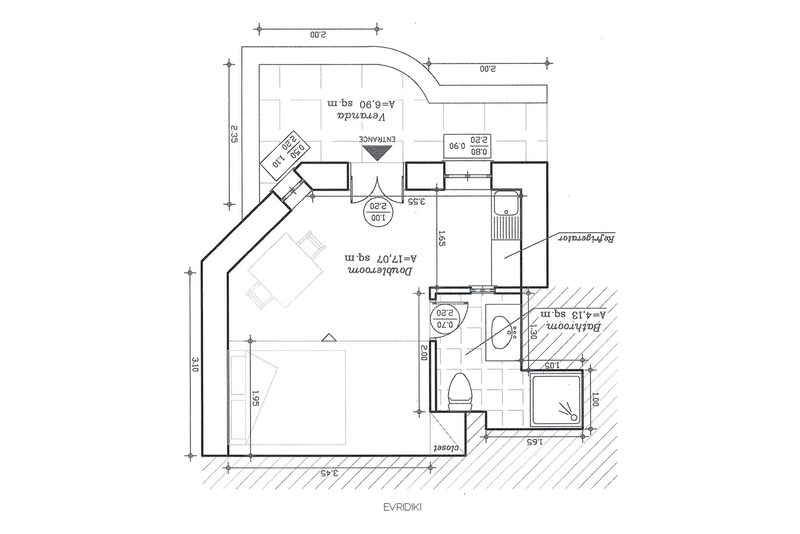 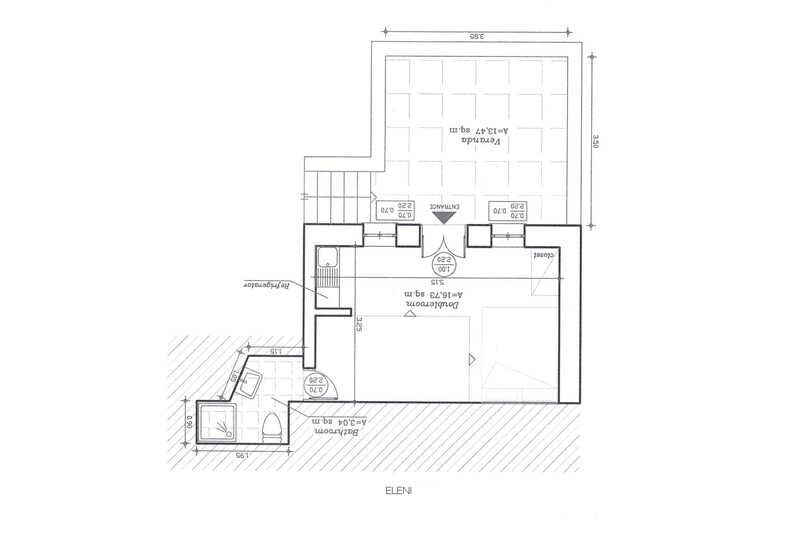 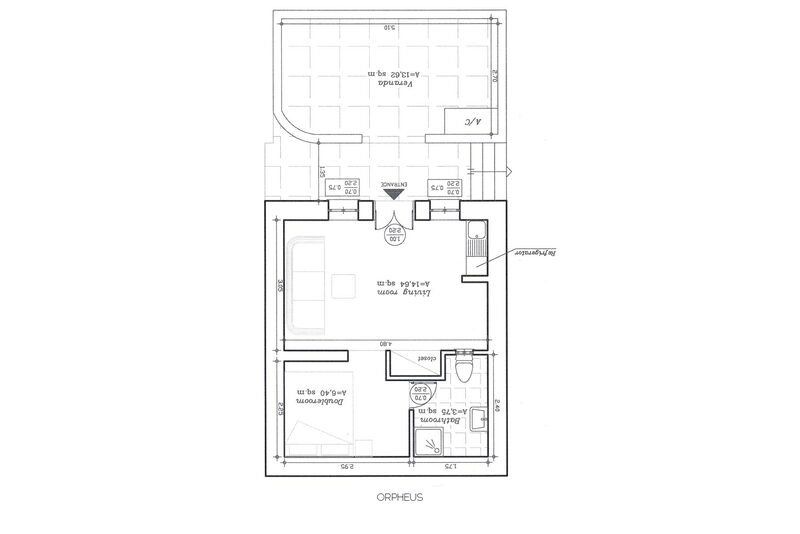 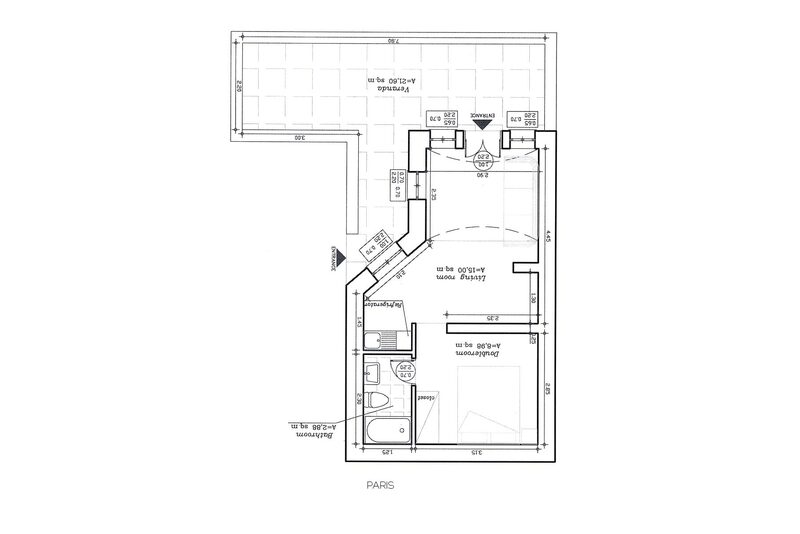 Let us see in detail the areas and their facilities.